We will need a signed, clear title, free of all liens. If there is a lien listed on the front of the title, please include the original lien release. If you do not have a title, please call our donation department at 1-855-895-9248. Our title specialists can usually help obtain a duplicate title from your local motor vehicle department. What if I lost the title (pink slip)? Please call our donation department at 1-855-895-9248. Our title specialists can usually help obtain a duplicate title from your local motor vehicle department. What does WBGU-TV do with the vehicles? The vehicles are sold at private auction. The proceeds are used to help support WBGU-TV. 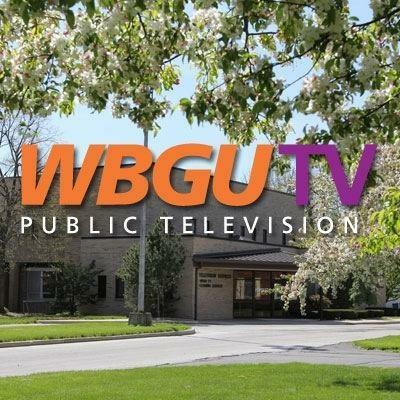 Funds from vehicle donations help WBGU-TV acquire and produce quality educational and entertainment programs and support our outreach efforts in the community. Do I get a receipt for my donation which shows how much money my car raised for WBGU-TV? Yes, you will be mailed a receipt that shows the amount your donated vehicle brought in at auction or $500, whichever is greater. You should expect to have your receipt of sale about four - eight weeks after you donate your vehicle. Can I value my vehicle before I donate it to WBGU-TV? Many factors can contribute to the final selling price of any vehicle, including the make, model and year of your car, along with any mechanical or physical damage to the vehicle that could affect its value. WBGU-TV's vehicle donation representatives cannot guarantee the final selling price, which is your charitable contribution to WBGU-TV. Often it takes four weeks from the moment your vehicle is picked up to the time WBGU-TV receives notification of your donation. Then, it can take another two to four weeks to complete your membership and send it to you. You should receive your new member welcome kit approximately six to eight weeks from the date you donate your vehicle to WBGU-TV. If you are currently a member, you should have received your thank-you gift at the time of your pickup. Please complete and submit our Car Donation Form or call us 1-855-895-9248. 2. If you donate a car that is worth more then $500.00, your deduction will be limited to the actual sale price of your car donation. If your vehicle is sold, all proceeds will benefit WBGU-TV, a 501(c)3 charity. You will be provided with a receipt stating the final sales price of your vehicle within 30 days of the sale of your donated car. We will work to get top dollar for your car donation.